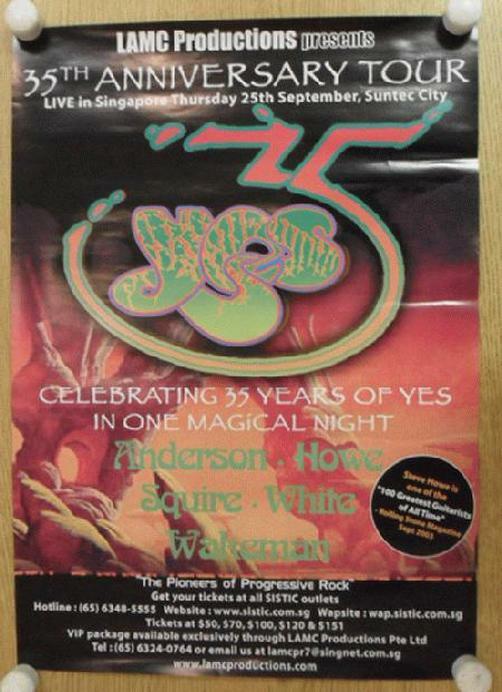 Original concert poster for Yes in Singapore for their 35th Anniversary Tour in 2003. 11 x 17 inches on this glossy paper. Light handling marks and edge wear.